Despite a double-bogey on the 10th, red-hot Rory McIlroy fired a five-under 66 and sits one stroke behind the leaders after the first round of the PGA Championship. 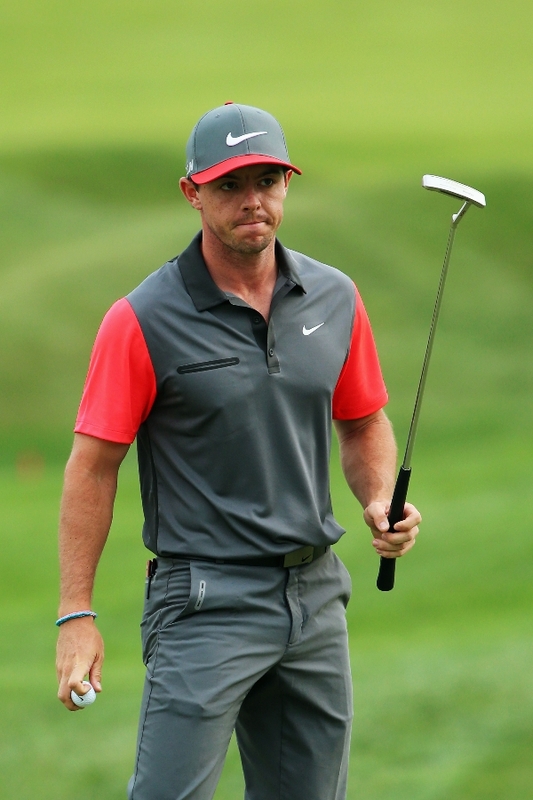 McIlroy’s hot play fails to explain why he’s playing the PGA Championship while wearing a hat that’s slightly too big. I have so many questions. What does the big brim accomplish? Is it about keeping the nose shaded? Or is it just fashionable? If so, why are hats that make you look like a boy wearing his dad’s clothes the new trend in golf fashion? If not, why would Nike try to make weird brims a trend by putting them on the world’s best athlete who also happens to have the face of a teenager? And if big brims are in, why not go for it with a massively large brim? Why a slightly bigger brim? Who’s profiting from slightly bigger brims? I want names! And brims! A late Brock Osweiler touchdown pass gave the Denver Broncos a 21-16 win over the Seattle Seahawks and a measure of revenge for their disastrous defeat in Super Bowl XLVIII. That measure? Approximately a picoliter of revenge. That’s a really, really small amount of revenge. Jim Harbaugh and Ginuwine? Genius. Jon Lester was dominant in his second start with the A’s, spinning a three-hitter as Oakland beat the Minnesota Twins 3-0. “Champagne will flow in the halls of O.co Coliseum tonight,” A’s general manager Billy Beane declared after the win, which made Oakland the first major league team to reach the 70-win plateau. When asked if he was specifically celebrating the 70-win mark as an indicator of postseason success, Beane shook his head and said, “No, I just heard a weird sound coming from one of the luxury boxes and assumed it was a valve issue with our champagne lines.” Beane then pulled out a wrench and left the room while muttering to himself about his life choices. Thank you, Landon Donovan. Thank you.